Road Trail Run: New Balance RC1400v6 Review: Stallion! Peter: I’ve had a long history with the 1400. I loved versions 1 and 2 but found them just about 3 miles short of a marathon shoe for me. v3 was great, 4 better and 5 was one of my favorite shoes ever. The 1400v5 led me through a couple of workouts comprising of 20 miles of distance with a 5k race in the middle and both the distance and the speed felt amazing! 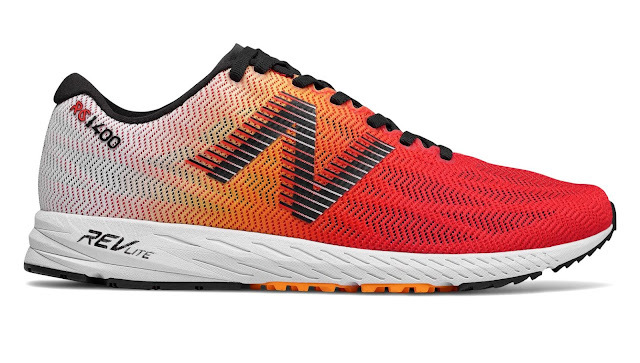 I was super excited to try this new, flashy version of the 1400-but also a little scared that NB would do something drastic. Dave: Like Peter, I also go back into the record books with the 1400 from New Balance. Some of my best racing when the 1400 was first developed was done in this model. The 1400v6 does not disappoint. It’s a true speed demon, with outstanding grip and pop off the forefoot. MSRP $100. Available now. See current pricing after the article. Peter: The 1400 V6 looks great! I love the colors and it looks like there’s a bit less material in the upper. Weight is down a hair and the upper looks substantially more breathable. Fit is true to size and foot is held well without shoe being overly snug. If I’m not wrong, they may be a hair longer than v5. v5 felt a tiny bit short to me, so a little longer is good. Fit is great. Dave: Righteous look to it! I love the “flame” type look from the toe box back to the midfoot of the shoe, followed by the white multi colored patterned heel collar that when in stride, makes it look really fast on your foot. My size 9 fits the way I like a racer - - snug and locked and loaded. Peter: Most of the update--if not all of it-- is in the upper. Overall the mesh is lighter and more breathable. You can see the Fantom Fit support cage, the darker more solid colors and strips below,. The cage is a skeleton web of underlays that help hold the foot in and they do a great job. This upper approach and a similar fit along with Revlite midsole and 10mm drop is shared with New Balance's new trail runner the Summit Unknown (RTR review). The most extreme change is probably the tongue. The v5 had a pretty well padded tongue. The v6 has a thin sliver of a tongue. I haven’t had any trouble with hot spots or irritation, so I guess it’s doing the job. The tongue is perforated and breathable. Frankly I was a little worried about it, but it’s just fine. Dave: Previous versions of the 1400 struggled with the tongue, as Peter states. It’s something honestly New Balance has always struggled with, along with excessive lace lengths. 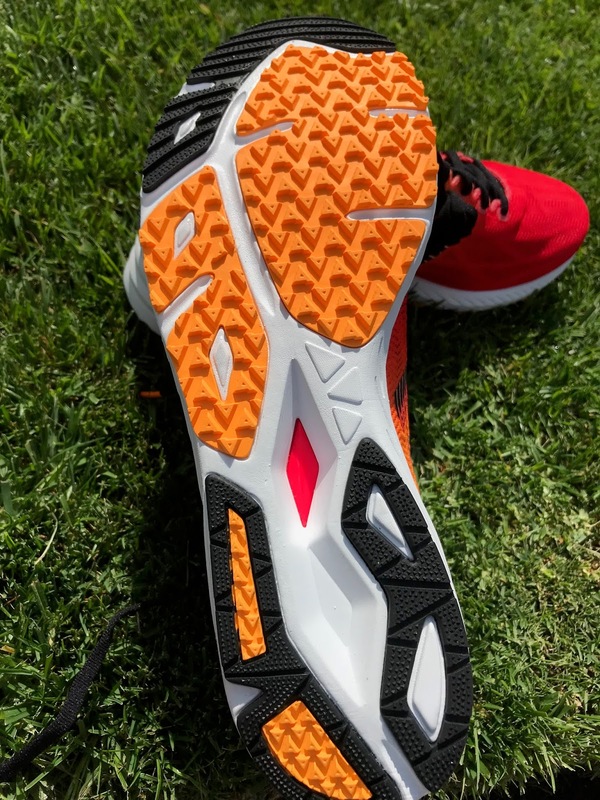 The new tongue lays nicely along the top of my foot and doesn’t bunch when lacing up for a workout or race. After a few workouts, I now see the 1400 molded like a glove to my foot type. This is something I always loved in previous versions. Everytime I popped on the 1400, it remembered my foot! The V6 does exactly this! That kind of memory fit is really hard to find in racing flats now a days. My first workout in the 1400v6 was a 4 Mile Tempo in the pouring rain. The 1400 never allowed my foot to get soaked and heavy with water. That’s important in a racer. The new mesh upper gives the required breathability and it doesn’t accumulate moisture as much as many shoes. Peter: V6 seems to be unchanged in terms of the Midsole. It’s made of good ol Revlite. Stack height is 25 in the back and 15 up front. I’m a fan of revlite. I think it holds up well and runs smooth and easy. As with previous versions there is a plastic shank or plate at the midfoot which helps propel the foot forward. Dave: Revlite is smooth. The 1400v6 is smooth. I think that’s why I have always enjoyed this shoe through the years. I’m still not sure I can handle a Marathon at 36 in this shoe anymore, but it’s perfectly quick from heel to toe. It has the fast transition rate to be great for Half Marathon attempts. Really want to see the midsole pop? Take this thing to the track for classic mile repeats? Damn, it’s a shoe of utter beauty for me! On my 4 mile tempo on the roads a few weeks back, I felt really powerful. I never once had to worry about my stride or my shoes. You know how sometimes when working out or racing you pay attention to the shoe in the first few miles? Like it doesn’t necessarily break in or flow with the workout or race early on? The 1400v6 lets you focus on the workout at hand. 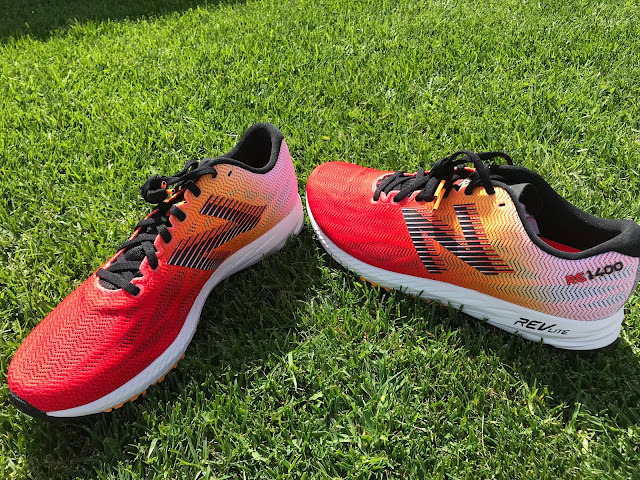 Revlite gives a great spark off the forefoot making each stride aggressive, yet subtle in impact and powerful. Peter: The outsole is blown rubber in the same pattern as the v5. There’s rubber everywhere you need it and I’ve experienced no wear and tear on the exposed sections. On my 5’s I noticed that the forefoot started to get worn down around 250 miles, but they still feel great to run in. Peter: If you haven’t ever run in the 1400 series, v6 is as good a place to hop on as any. The ride is on the firmer side but is plenty forgiving. The shoe pops off the pavement when you lay into it. The best word I have for it is smooth. It’s a smooth shoe. The 1400 feels good at any speed, can handle long runs and speed work and never feels like too much shoe or too little shoe. 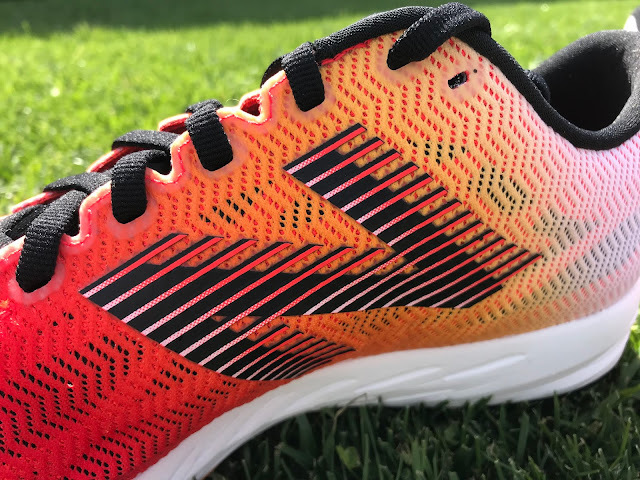 Dave: This is my favorite racer right now and while I like the Go Meb Speed 5 a lot, the fit is better in the 1400v6 for me. Extremely smooth, powerful, not loud or “slappy” and it’s just plain efficient. Efficient is a key word here. It works with you, not against you. When you lay on the gas in the 1400v6 it continues to let you know more is there. I really like that. I’d also say almost 60% of the athletes I coach World Wide race or workout in the 1400v5 or now v6. It’s so versatile they get a ton of use out of it. Rarely do we give perfect reviews, but I cannot find anything I don’t like about the 1400v6. This is one of those shoes that is a “stock em up” type shoe. Recommended for the runner looking for an efficient racer from 5K to Half Marathon. If you’re light, wicked fast and efficient (some of my elites race Marathons in it) you can most likely take this 26.2. Perfect on the Track and for Fartleks, Hill sessions, Progression Runs and Tempo as well. Grab yourself a pair! Price point at $90 is just awesome. Get yourself 2 or 3 pairs! 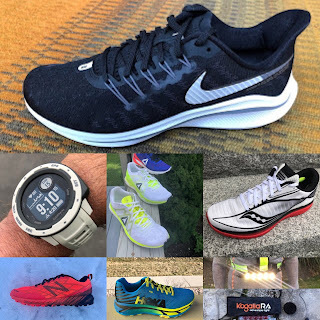 Looking for a lightweight shoe for just some daily miles, I would look into this as well. It feels good at slower speeds, too. Peter: Very similar with a more breathable upper and lighter. v6 is a better warm weather shoe. Dave: Better upper in v6, more pop in v6 for me. Speedier aeshtetic look in v6. v6 for the W.
Peter: Still not loving the Sub 2. I’d go 1400 any day of the week. Peter: These are definitely in the same league. The 1400 fits me a bit better than the Adios. And I like the Revlite more than I like the boost material. Peter: Man, both great shoes with a similar ability to go long and go fast. I think the 1400 holds up a bit better over time. Peter: Don’t make me choose. These are probably the most similar of the 2. The 1400 has just a little extra something for me, but it’s close. Dave: Tough call here, but I like the V6 more. There’s just something about the Razor 2 that makes it not as good as the Razor 1. I struggle with the lacing scheme. 1400 V6 for the W.
Dave: Peter is right, the 1400V6 is more bang for the buck. 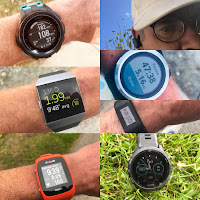 I do not feel confident racing a Half in the Meb Speed 5 and have also seen some runners try to take the Speed 5 into a Full and struggle with calf issues and almost tears. It’s far too minimal. The V6 can do a little more for me at longer distances, especially progression runs. Peter: While I really like the Reebok, the NB pops off the pavement better. Once I’m over 8 miles the 1400 feels better than the Reebok for me. Dave: So tough! If I want a shoe for a little longer look, I think I’ll go with the v6. It also doesn’t bunch in the top of the toe box and put pressure on the top of my toes like the Fast does. PEBAX vs. Revlite. Reebok has a better midsole. Can we just call it a tie? I own both and love both. Peter: The Kinvara feels stiff and blocky compared to the 1400. Dave: Totally different shoes for me and shouldn’t be compared. K9 is a daily trainer. 1400v6 is for workouts and races. But if you own both, you have yourself a killer rotation! Peter: Not really fair. The Vaporfly is a different beast. 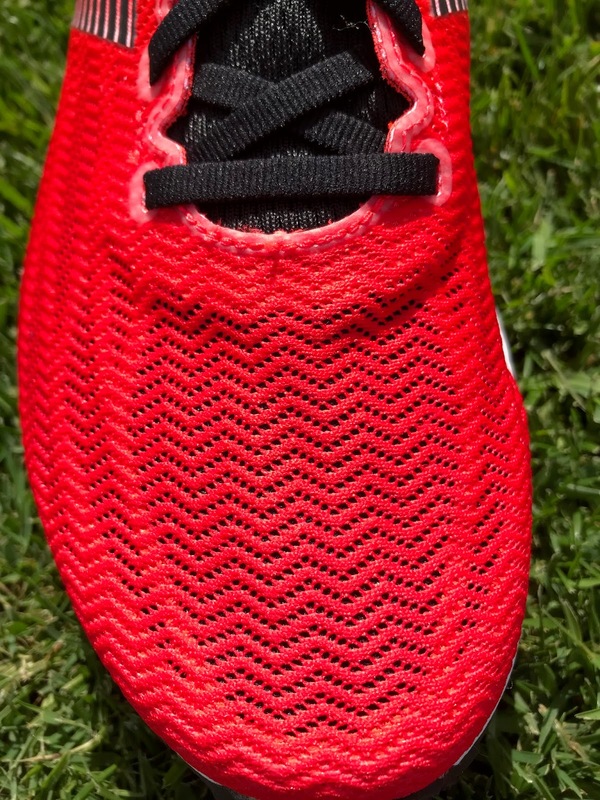 It would be hard to convince me to race a marathon without the Vaporfly right now. That said, they’re too expensive to train, so I’d do most of my running in a 1400 and race the Vaporfly. Dave: I have not pulled the trigger on the 4% yet. But I’ve done a ton of crazy stuff in my life, so…. The 1400 were provided at no charge. The opinions herein are entirely the authors'. Hi..great review from you guys. 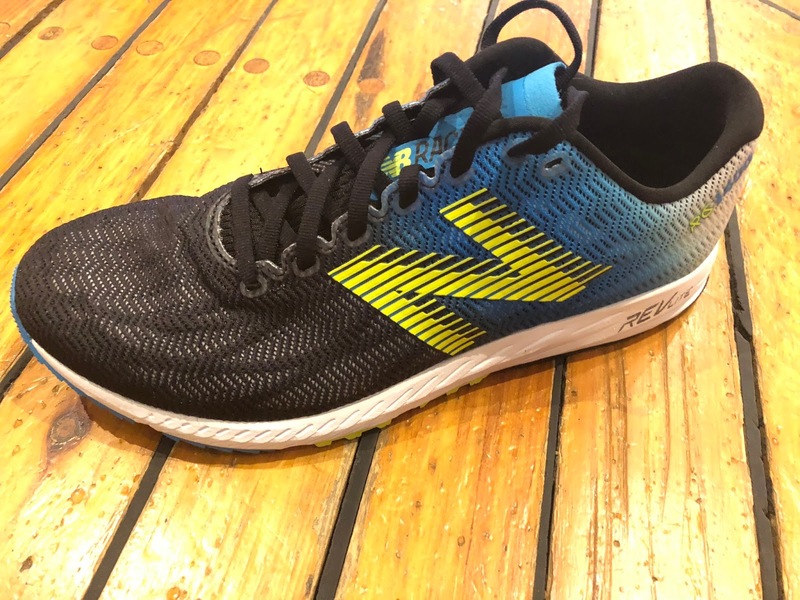 Currently i've been using nb1500v4 and it's a great trainer/racer for neutral runner even it is meant for runner looking for stability option. So how this 1400v6 compare to 1500v4? The fit and the tounge look the same and 1400 a bit cheaper and you both score 10/10 for it. What a shoes! Skip to 3:23 for slo-mo of Bruce Kidd, but he's off his heels jogging too in other scenes. Great review! I am looking at possibly picking this shoe up....I am a tad hesitant, because like the person above, I have a wide/higher volume foot...I've owned almost every version of this shoe for racing and would like to go all in with training in it too. However, I cannot get the right fit in previous models when wearing with sock...whether its sizing up or not. Would love to see this come in a wide version like the 1500. Any thoughts on fitting a wide foot or a shoe similar that can accommodate? Adios? Boston? Mizuno Shadow? Currently run in the Escalante but looking for a more secure upper and 4-10 drop. I've also had the saucony ride 10 wide in past but way too clunky. Thanks! Thanks for reading and commenting! You will find the fit of the 1400v6 similar to v5, maybe a touch more accommodating but not much. Mizuno Shadow would be an option given its soft stretchy forefoot upper. You might also look at KInvara 9. While somewhat snug initially I found it stretched much like the Shadow after some runs much like a sock. 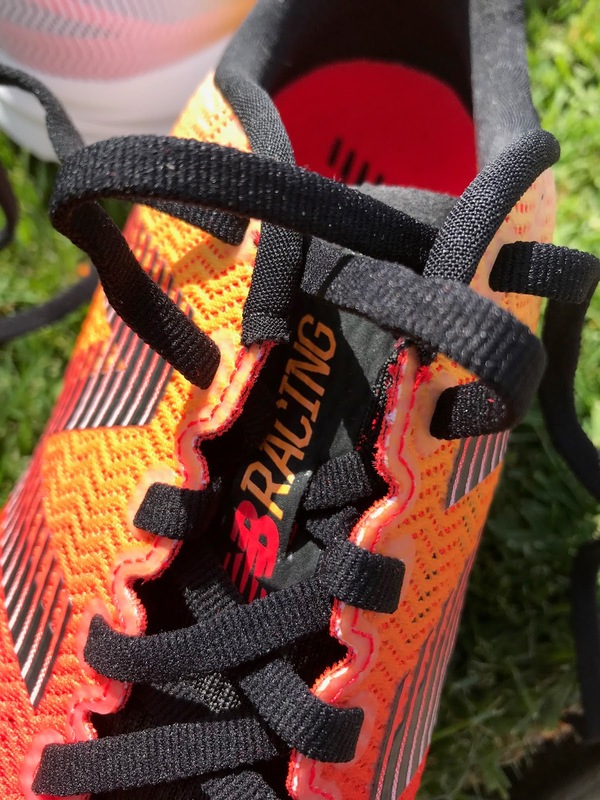 Reviews of the Kinvara 9, Shadow and many others at the link below. Great review as always. Since I don't normally run in racing flats, would this be a good option to get a more minimalist feel into my runs and help with gait and build muscles that otherwise wouldn't develop with a more cushioned shoe? Or should a slower, heavier runner stay away from this type of shoe? This or the 1500? My god this shoe is incredible. I went out for an interval run and this shoe is just effortless. It works when I want to slow down as well. My feet and ankles don't suffer from any tendentious and feel great afterwards. I finally found a racing flat that I love. Hi! Great review of the shoe! Just wanted to ask about the size. I wear size 10 on my casual shoes and go a half size or full size up with my running shoes. Should I also go a half size up on this shoe? Thanks in advance for the response. I have limited experience in both and didn't much like the Zoom Fly. Very hard for me to either run race pace or slow pace in them unlike VF and quite firm, stiff and harsh The 1400 is clearly more versatile if a bit thin on cushion for most beyond a half marathon. What kind of race time goals do you have. Hi Peter! 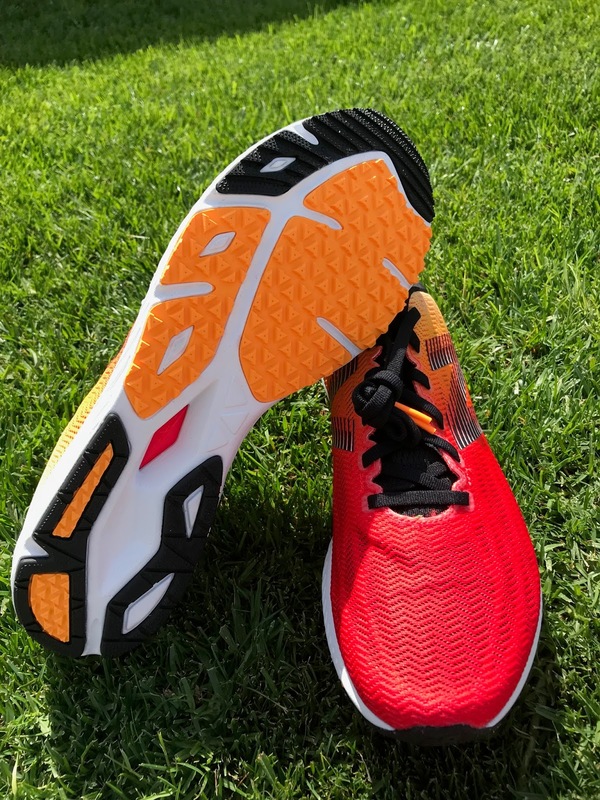 I would like to see how do you compare the Mizuno Wave Sonic with the New Balance RC1400v6, in terms of durability and fits? May I ask which one you would prefer for running a half-marathon distance and why? Thanks for asking and reading. Unfortunately I don't believe Peter has run the Wave Sonic. I'm trying to decide between the New Balance 1400v6 and Reebok Floatride Run For a speed work and race day. Which shoe in your opinion has best arch support and stability? I would say about equal. Look to Kinvara 9 and NB Beacon reviews at index page for a broader mid foot platform. I really like this shoe but find the tongue to be a bit weird. There's a lot of slippage. Has anyone else found this? Is the 10mm drop for races and hard runs going to be uncomfortable if I train in 4-6mm drops? It should not be and in fact for many a higher drop during races can be helpful in later miles when tired and when one tends to get back on the heels. 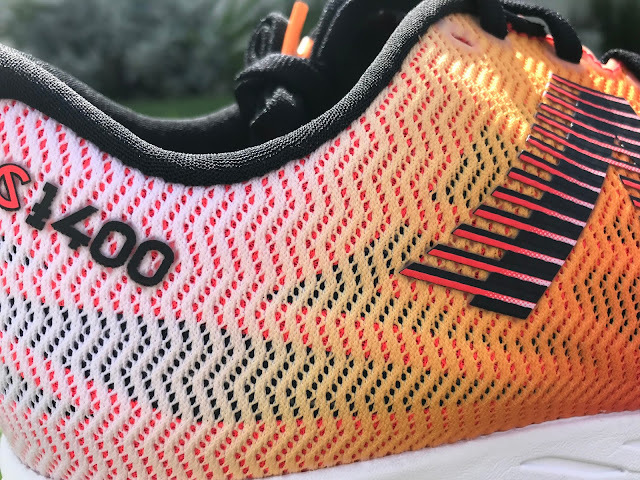 The top top racer of the moment the VaporFly also has a higher drop. What do you train and race in now? HI Sam, I train in Zealot ISO 3. I have not raced as of late, but was considering the skechers razor 2 or this. Razor 2 being the same 4mm drop and cheaper, but this just looks so good. I ran my last marathon in a NB 1500, and got my PR! But the shoe didn't provide much cushion at all, and boy was I feeling it. Looking to better my time, but not feel every inch of pavement. Trying to decide between these three. I'm athletic build (so not XC track star skinny) and looking for a 3:40 time. Any suggestions or thought appreciated.